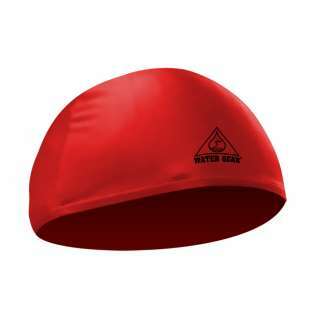 Great long lasting Lyrca cap from Water gear! Very thin and stretches out over time. I use a tempo trainer in my cap, and over time these caps, which are very thin, stretch out, looking more like a beret or chef's hat than a swim cap, and the tt flops all over the place. I'm going to try something with more material and durability. This swim cap is perfect because it doesn't pull your hair & leave you with a headache like the rubber caps but it doesn't protect your hair from chlorine or keep it dry.